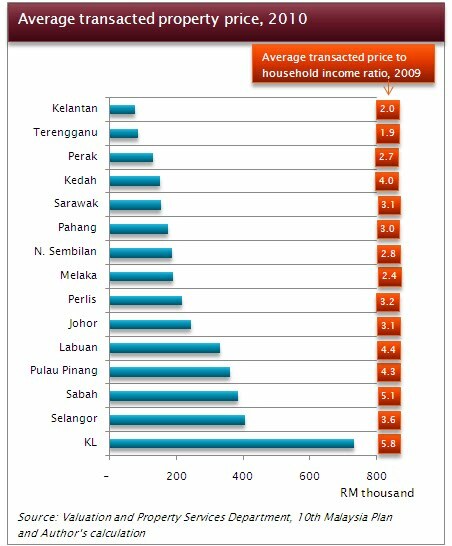 The National Property Information Centre's (NAPIC) Property Market Report 2010 is out. Good news: If there was a property bubble, it didn't burst last year. Bad news: A minister is setting high (really high) price expectation for property prices, despite all his valid reasons. Sometimes, you wonder whether all politicians could just take a crash course in monetary economics - at the very least! Also, the price-to-household income ratios (those orange boxes) look pretty frightening for some states...and its just a 2009 stat - will obviously update it once DOS comes through with the state-by-state income data half way through the year.